The tours, the ribbon cutting, the complementary hazelnut lattes and the modest supply of the nutrient-rich nuts trickling into gargantuan silos and processing machinery last week marked not only an inauguration but also a calm before the storm. 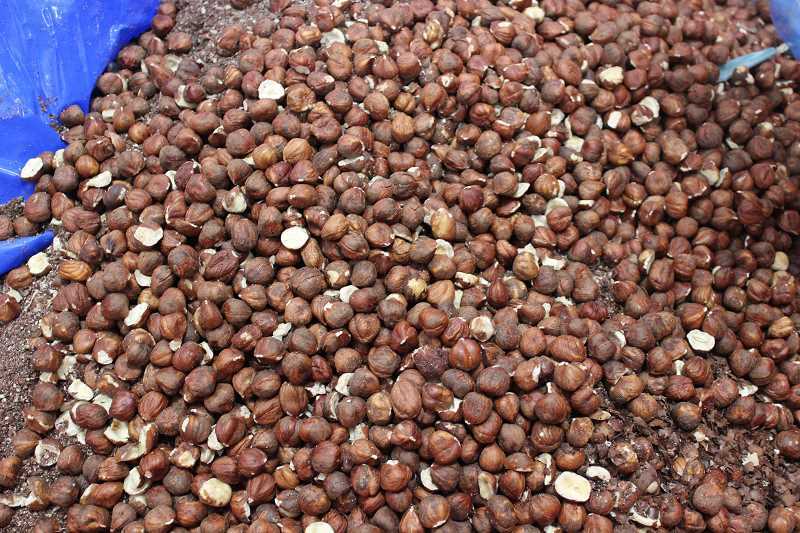 Come October, as Plant Manager Jason Costa put it, a "tsunami of nuts" is expected to deluge the new 120,000 square-foot hazelnut processing facility in Donald, just south of Wilsonville. The Hazelnut Growers of Oregon and Wilco Farmers Cooperative, which unveiled the facility Wednesday, Aug. 15, welcome the influx and the new plant was designed precisely to handle a hazelnut spurt. The increase is due to Oregonian growers planting more hazelnuts than ever before. Until Wilsonville's rapid expansion, it was home to many hazelnut orchards. "Compared to other nuts, the domestic and international market potential for hazelnuts is largely untapped," Wilco CEO and President Tim Ramsey said in a press release. "In a few years, the Oregon hazelnut crop production is anticipated to double, which is why we built this new facility." HGO is a farmer-owned cooperative, includes more than 180 Oregon-based growers and merged with Wilco in 2016. The new plant is located near I-5 and in the middle of Oregon's hazelnut-growing region, which includes the Northwest portion of the state. To some, hazelnuts are known as filberts. Patrick Gabrish, HGO vice president of sales and marketing, said hazelnuts aren't as popular as other nutty treats like cashews, pistachio and, especially, almonds, in part because they aren't produced as prolifically. Only countries residing near the 45th parallel, such as Turkey, Italy, Azerbaijan, Georgia and the United States, can produce hazelnuts and 99 percent of the U.S. crop is grown in Oregon. A 2014 hazelnut-freeze in Turkey led Oregon farmers to grow more hazelnuts and the splendor from that increase is expected to emerge this year, according to Gabrish. "Historically it was a very constrained crop and over half of it went in-shell overseas to China. Years ago there was a freeze in Turkey that made hazelnut prices increase dramatically so a lot of Oregon farmers started to swap out other crops for hazelnut trees," Gabrish said. HGO projects its growers will produce 55,000 tons of hazelnut crop this year in comparison to a 31,000-ton crop in 2017, and for the Oregon hazelnut crop to increase from 31,000 tons in 2017 to 90,000 tons in 2025. "It takes about 4-5 years for those trees to start producing. Now we're getting to that point to where the crops are coming," Gabrish said. "The trend is there's a lot more so we have an opportunity to do more with hazelnuts than we had previously." A foil in HGO and Wilco's plan for market expansion could be China's decision to increase tariffs on hazelnuts grown in the United States. Costa said the tariffs are concerning but he isn't sure how deleterious they will be, while Gabrish said one of HGO's goals is to build the domestic market. The facility is also designed to meet the standards set by the Food Safety Modernization Act signed into law in 2011, which gave the Food and Drug Administration greater oversight over harvesting and food processing with the hopes of preventing foodborne illnesses. HGO representatives were particularly excited about the facility's steam pasteurization machines, which allow for the removal of 99.9 percent of bacteria in unprocessed hazelnuts. 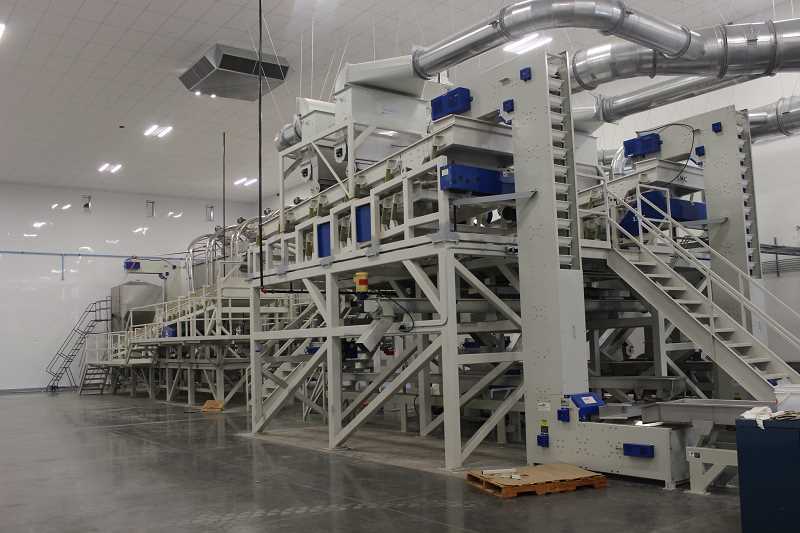 It is the only facility in the Pacific Northwest with steam-pasteurization capabilities. Whereas the old facility graded out as a Level 2 on Safe Quality Foods' standards, which is based on a three-point scale, Costa expects the new facility to be upgraded to Level 3. "We installed it because steam pasteurization is the desired method for most companies that use hazelnuts for value added formulations (which produce more refined hazelnut products like hazelnut butter)," Gabrish said. "They want that guarantee that their product is going to be pure and safe. "You really couldn't do that without making an investment in a facility like this. You look at the walls, the ceiling material, there's no place for microbes to hide." In a single hour, the facility can receive 160,000 pounds of hazelnuts, pasteurize more than 10,000 pounds, slice and dice more than 5,000 pounds and roast in excess of 3,000 pounds. 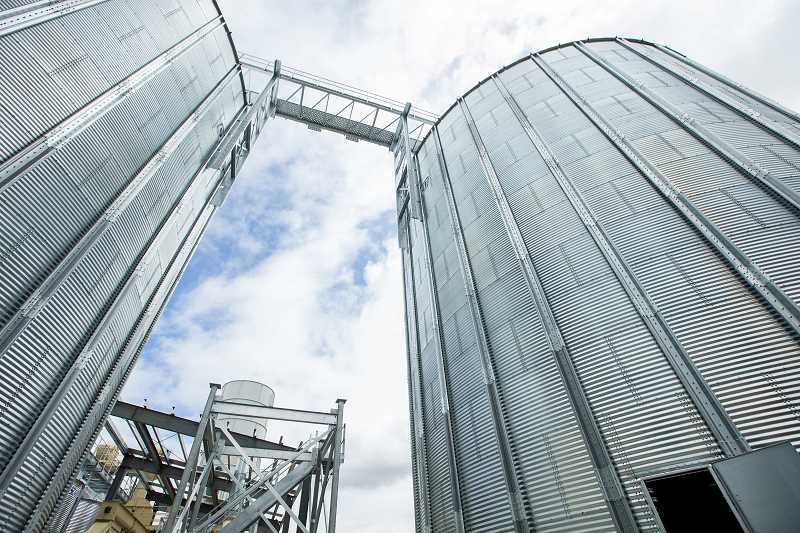 It also stores nearly 11 million pounds of hazelnut in silos. The old facility in Cornelius was smaller due to land constraints and, unlike the new iteration, its storage facility was separated from its processing facility. The Donald plant can also dry the hazelnuts to control moisture, which helps maintain crunch-consistency. "This facility is big enough and we have enough land to work with to where we can bring anything from our receiving, packaging, processing and our warehousing into one facility and still leave room to expand in the future," Gabrish said. Overall, Costa's praise of the new facility was effusive. "Having worked in the nut industry for the last 14 years, I've built a couple plants and this is up there with world class processors," he said. "It's very well designed."